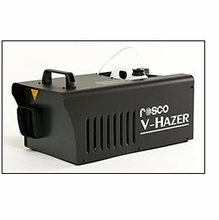 Create Fog / Haze atmosphere effect with Rosco Fog Machines and Chauvet Fog Machines for Stage Fog / Theater Fog. Fog machines, also called "foggers" and "hazers," are often used by theater and stage producers to create a foggy, smoky or hazy environment. BarnDoor Lighting Outfitters carries full-featured, professional theater fog machines as well as affordable DJ fog machines and versatile styles that can be used in schools, churches or smaller theater houses. Not only do we carry high-performance fog, haze, snow and bubble machines by Rosco and Chauvet, but we also offer fog fluid, bubble fluid and fog machine timers at BarnDoor Lighting. Chauvet's long-lasting atmospherics are designed with durable yet practical constructions to prevent rust. Chauvet offers haze machines and dry ice low-lying foggers for small and large spaces. 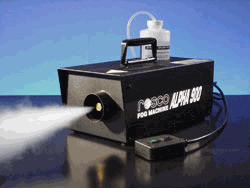 Rosco fog machines are known for drawing low power but offering extremely high performance. 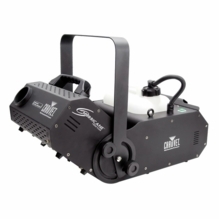 BarnDoor Lighting is one of the most trusted theater fog machine retailers, with over 20 years of experience selling quality foggers to industry professionals. Questions? You can always contact us at 1-888-276-3667 or info@barndoorlighting.com.